Coach Greg Powers is at the helm of the Arizona State University Sun Devils. In 2014, the university announced that the team was moving from club to Division I, kicking off a transition that didn’t allow for a much preparation. It was a big adjustment — the Sun Devils had won the National Championship in the 2014 ACHA Tournament. The following year, they were playing a hybrid season that included games against both ACHA and NCAA. Needless to say, they were no longer leading the league. 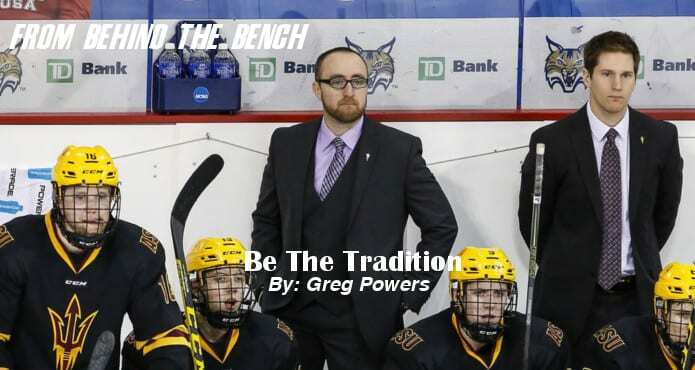 In this instalment of FROM BEHIND THE BENCH, Powers talks about what the transition was like, how he brings the Division I vision to life, including building a new state of the art arena and what players can expect if they want to be “pioneers” with the new D-I Sun Devils. “I played at Arizona State University for the club team from 1995-99 and then I coached as a graduate assistant for a year. Then I got completely out of hockey. While I was out of hockey, I was in the corporate world. I got into sales and I became the VP of sales for a medical software company. 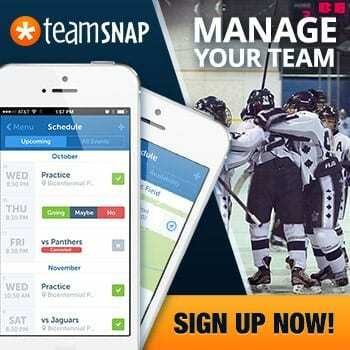 When I got back involved in hockey it was as an assistant for two years before I became the head coach. 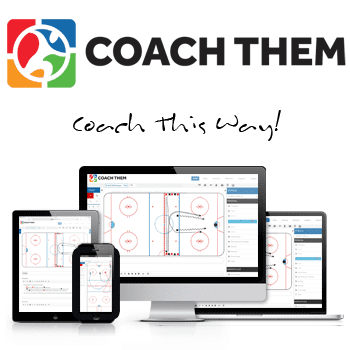 Coaching club hockey was never a means to an end, it wasn’t to make money and support my family. I started an executive recruiting firm that I had for seven years until we went Division I. I [came back to coaching] because I had a passion for the game and especially our program. We announced we were going Division I in November 2014 and we were playing Division I hockey in a hybrid season the very next year. The University made the decision to go right into it, with really no transition period. 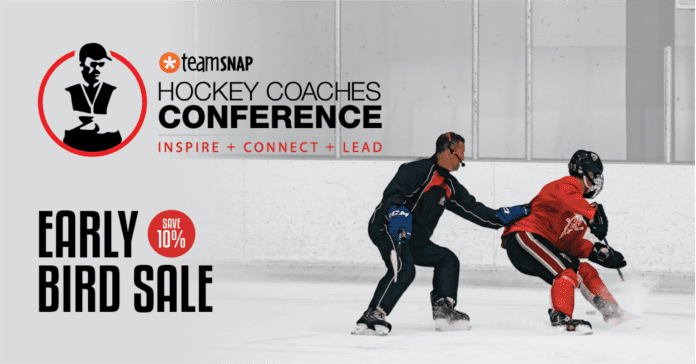 We didn’t have a staff or infrastructure for Division I — we didn’t have a rink, a conference or a schedule. We were thrown into the fire very, very quickly. It was a really tough adjustment, it’s a huge step up. We were a dominant club program, so the team was full of kids that knew how to win and were used to winning, myself included. It was tough because we knew we weren’t going to win a lot of games and we didn’t. I thought it was the right thing to do to keep as many of our club players as we could for the hybrid year. We kept 16, so it was a heavily dominated roster by kids that had been at ASU and helped build the program to the point where we had the amount of success that we did. It was an immense challenge that made all of us a lot better. Our mantra is: Be the Tradition. So, we try to build our culture two ways. First, we don’t ever want to lose sight of the guys that played club hockey at ASU — we’re here because of them. All the success that they had led the right people to believe that it could be done at [ASU] at the highest level. Bringing them with us and making sure they know they’re a part of this is hugely important. Not long ago, it was an ACHA program and now we’re playing Michigan and Notre Dame and Minnesota. It’s something [the alumni] are all really proud of. The second part is for the new players. They get to come and, in a way, build a program from scratch. In 20 years, they get to say that they started the program and set the standards. They went through the ups and the downs, the peaks and the valleys, and figured out a way to get our culture to where we want it. But with us, you have the opportunity to have that hallway named after you. That’s the difference. For some kids, they see the once-in-a-lifetime opportunity to be a pioneer. There are other kids who grew up dreaming of playing for the traditional [schools]. And that’s ok, but they’re not our kind of kids. Having kids who embrace the challenges and who understand that it’s going to make them better people are the kind of kids that we’re going after. I think the most important part right now is getting the kids to understand that it’s not perfect — it’s not going to be perfect for a everyday. We don’t have an arena yet (it’s on its way), or a conference, so we’re going to travel a lot. For now, you can’t just get off the bus and have that winning swagger. But if you do everything right along the way, you’ll get to the point where you do have that winning swagger. We’re not there yet, we’re still on the road. There’s going to be bumps in the road, but the further down the road we get, the smoother it gets. It’s getting better every day. We’re really excited about the arena—we’ll get the final design done soon, and then shovels go into the ground and the projected opening date where we will be fully functional in the arena is July of 2020. We toured arenas, our athletic directors and myself went to four high-end college hockey arenas and took what we liked from each and saw what we didn’t. We asked programs what they’d do over again if they could. We want to expose the fact that we are in such a unique climate and environment. Half of the weight room gets a ton of natural sunlight so you can open up the doors and be outside working out. We really wanted to take advantage of our environment—it’s awesome—the arena’s going to be nestled basically at the base of a mountain. It’s going to be really unique. People want to compare us to Penn State (which also moved to D-I, in 2012). Penn State is the ideal model and they have obviously done an incredibly job in everyway. If you can start from day one with an arena and a conference and give your staff a couple of years to plan before you play a Division I game, absolutely that’s the way to do it. That’s not the way we did it. We look at our model as the realistic model. We want to prove that $32 million can start a program and lead to a high level of success so that more programs follow suit. It’s not realistic for every university to [start with] $100 million like Penn State. The realistic model is starting with less and still figuring out a way to be successful. When we announced that we were [going to become] a Division I program, there was a ton of stuff to figure out. Now we’re building a home and focused on finding a conference. And we will. We have a very forward thinking athletic director Ray Anderson. He’s just a smart guy. You see universities taking away sports because of Title IX. He thinks the answer is to grow—to add sports and opportunities for student athletes. With the addition of hockey, he’s also added women’s lacrosse and women’s triathlon. He’s added men’s tennis. He wants to add sports and become a powerhouse athletics department. We’re very lucky, he’s all in. My biggest goal as a coach is that from the day a kid gets in to ASU as a freshman to when he leaves four years later, that he’s ready for whatever life brings him, whether that’s a career in finance or pro hockey. We want to make boys into men and I think we do a really good job of that.